7 months old and all grown up. 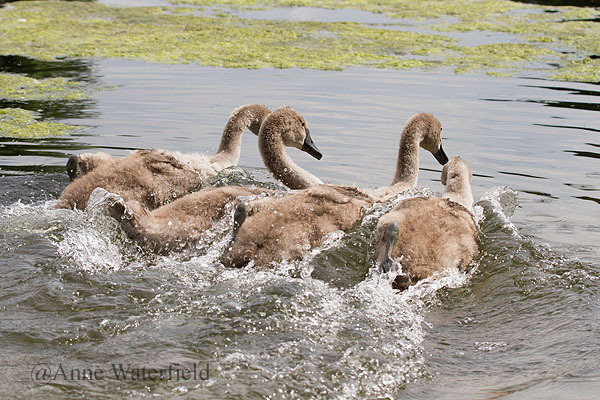 If there is one thing that needs to be done in the early days that one thing is "hurry up and grow", so here they are at 8 weeks and have avoided predation, the Cygnets have had a hard time of it and this was the first time I had seen them having a bit of fun. Racing around like little paddle steamers, no 5 is bringing up the rear.